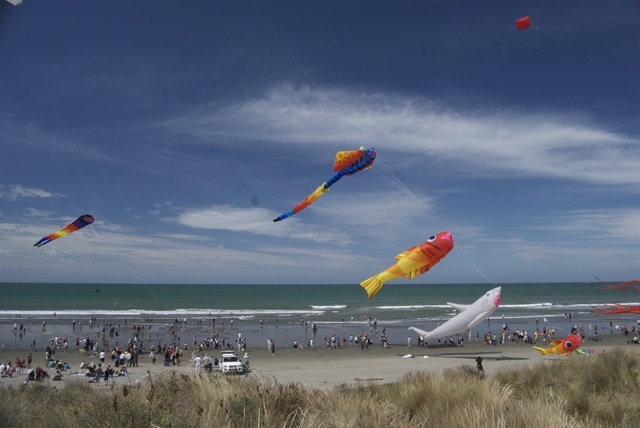 At the beginning of February, right in the hear of summer, there is a kite festival down at New Brighton Beach. 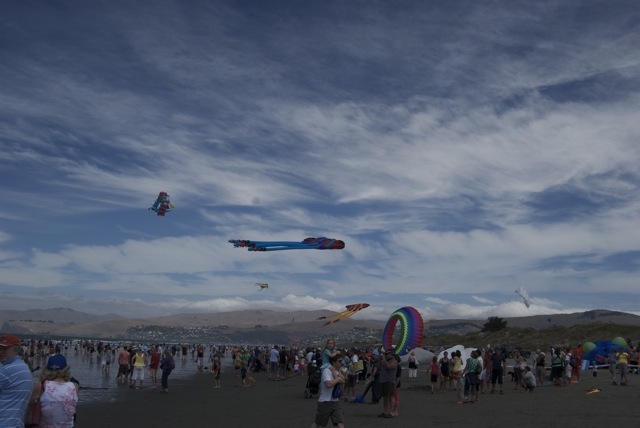 We all went down for the day with great weather and favourable winds. The sun is quite intense here. 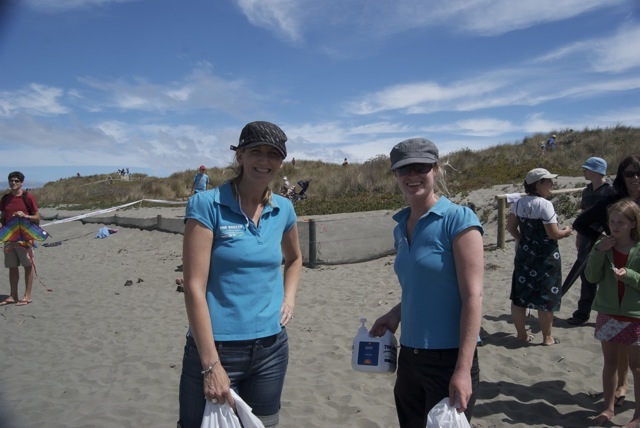 Apparently, sunscreen is given out for free at all the summer events by the NZ Cancer Society. 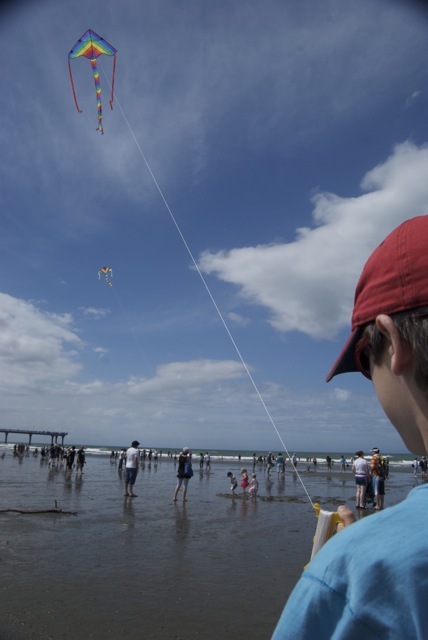 Jack trying his hand at keeping the kite aloft. 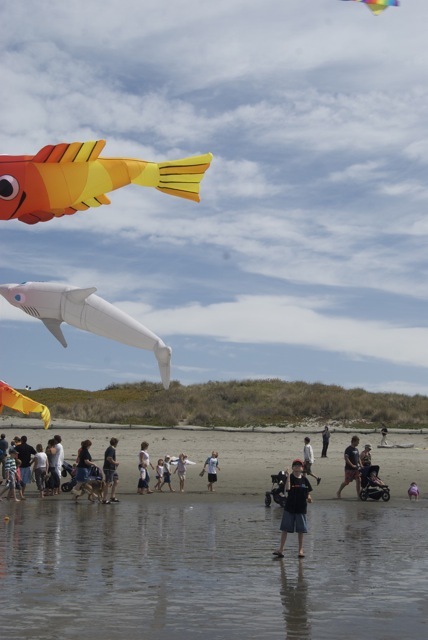 We had to buy one of the kites for sale at the event. 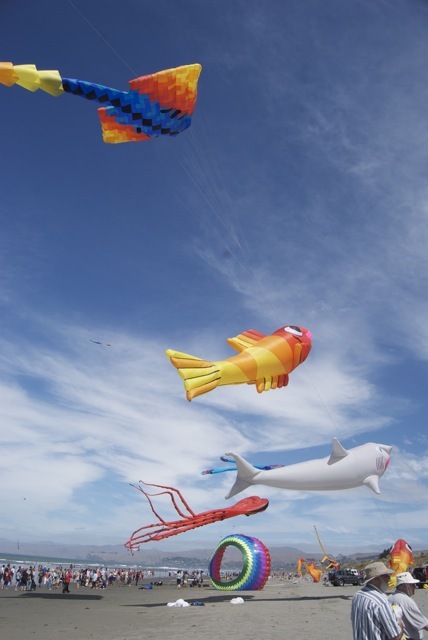 (marked up in price for the event… ahem) The boys wanted the big sailing ship kite, we got the classic one with the tail. They kind we all flew as kids. Might as well give them the same experience as when we were kids. 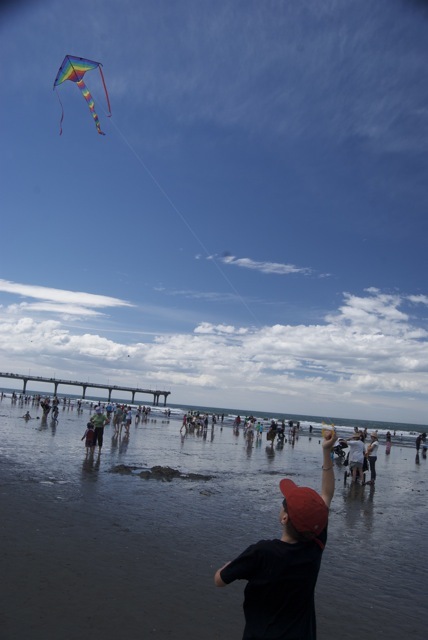 Will had some issues with tangling his line around another person’s kite. 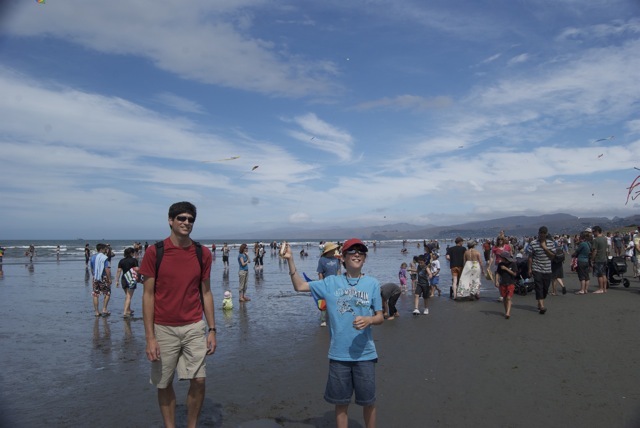 As you can imagine with this many kites in the same place we were bound to have intertwined kite string at least once or twice. 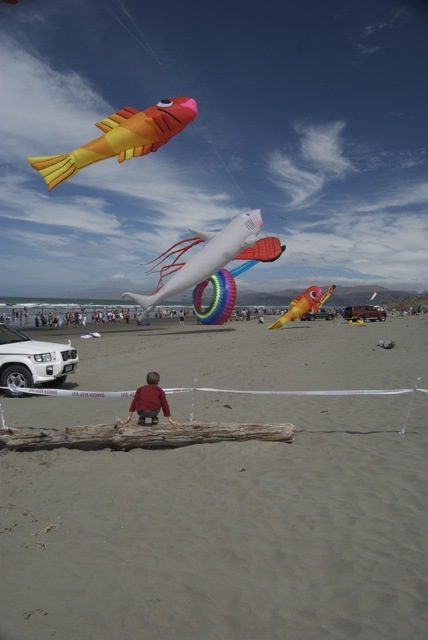 These monster kites are held aloft by a large sail kite. They were massive and quite fun to watch. 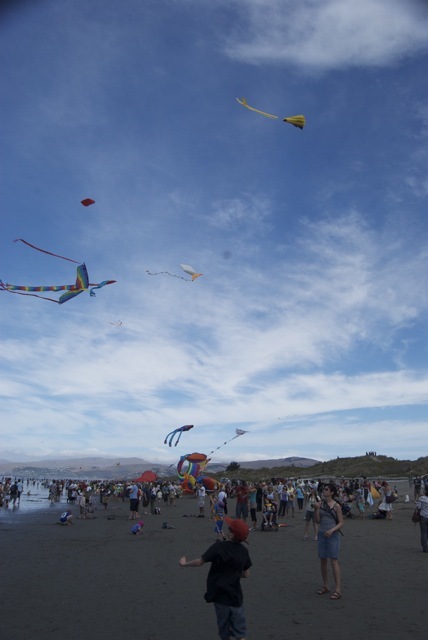 You can see the scale of the kites here. 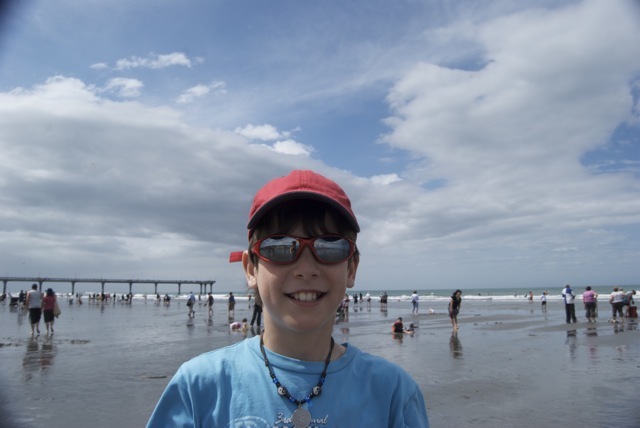 Will getting the hang of kite flying. The wind started to change directions near the end of our time there. This was a cool event. Jack flying our rainbow kite.